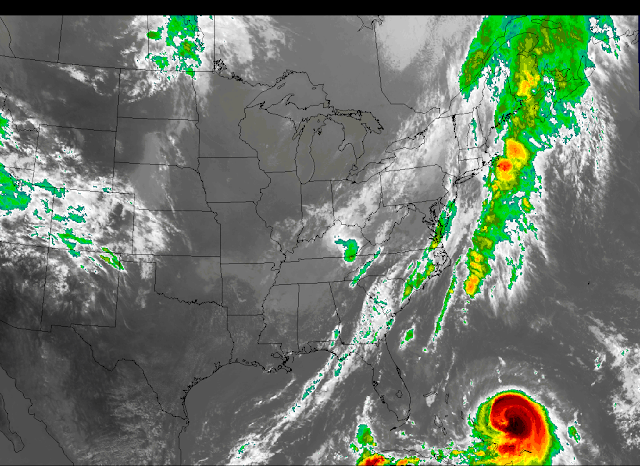 IR Satellite Image Of Hurricane Joaquin. 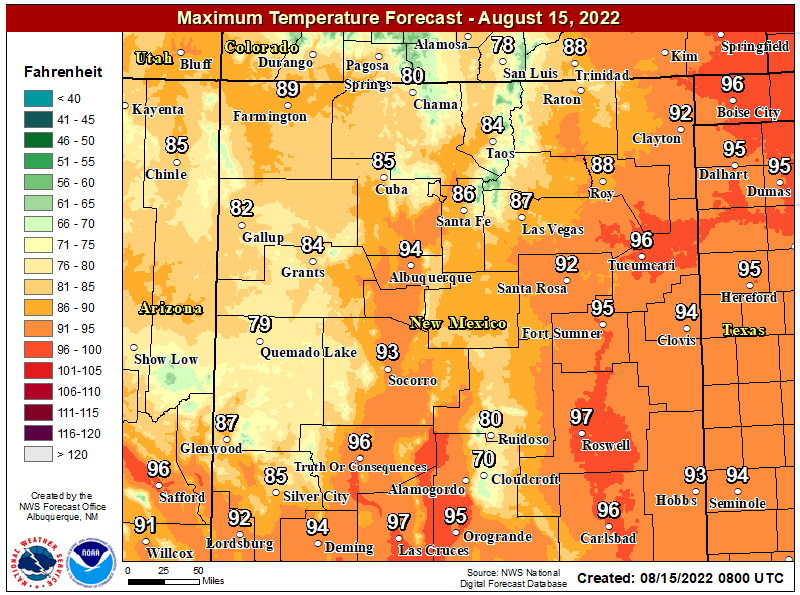 Valid @ 3:45 PM MDT Wednesday, Sept 30, 2015. 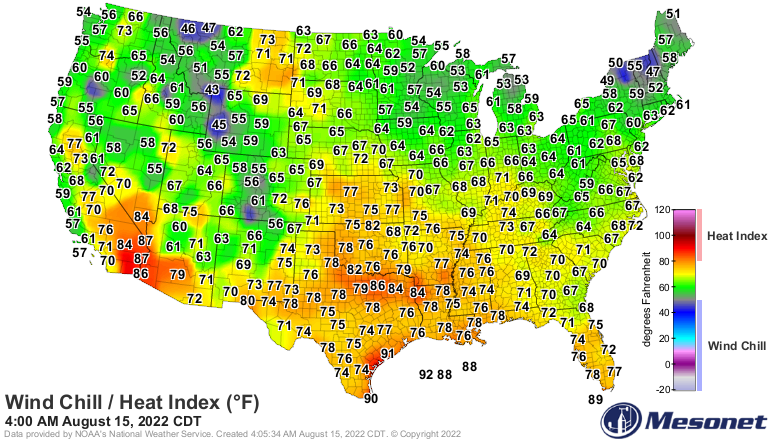 Lots to talk about in the wild world of weather this weekend. Hurricane Joaquin continues to be a threat to the eastern seaboard. Meanwhile a deep mid-upper level storm dives southward into California and will be a player in New Mexico's weather this weekend into the first of next week. 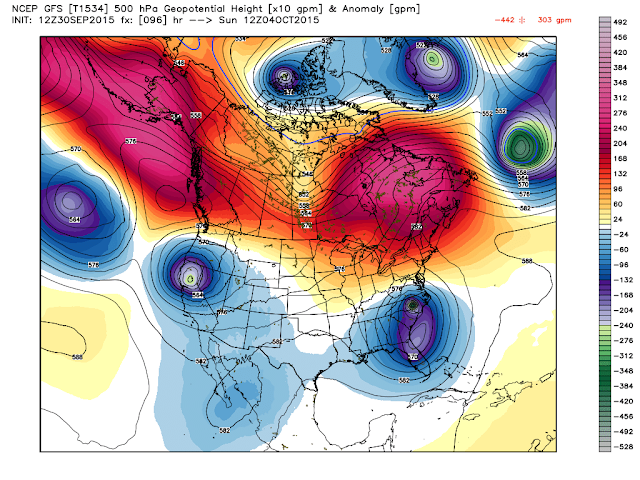 12Z/6 AM MDT ECMWF 500 MB Forecast. 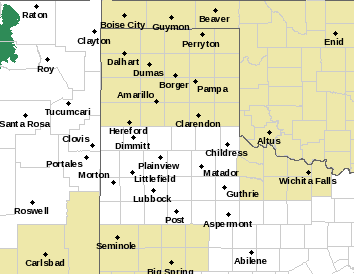 Valid @ 6 AM MDT Sunday, Oct 4, 2015. 12Z/6 AM MDT Canadian GEM 500 MB Forecast. 12Z/6 AM MDT US GFS 500 MB Forecast. 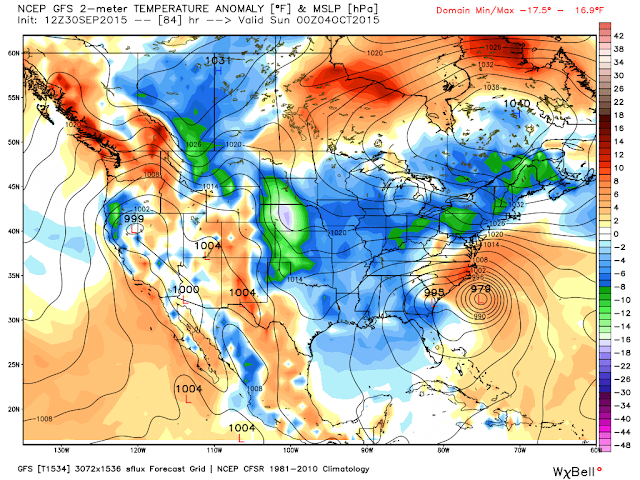 12Z/6 AM MDT US GFS Temp Anomaly & MSLP Forecast. 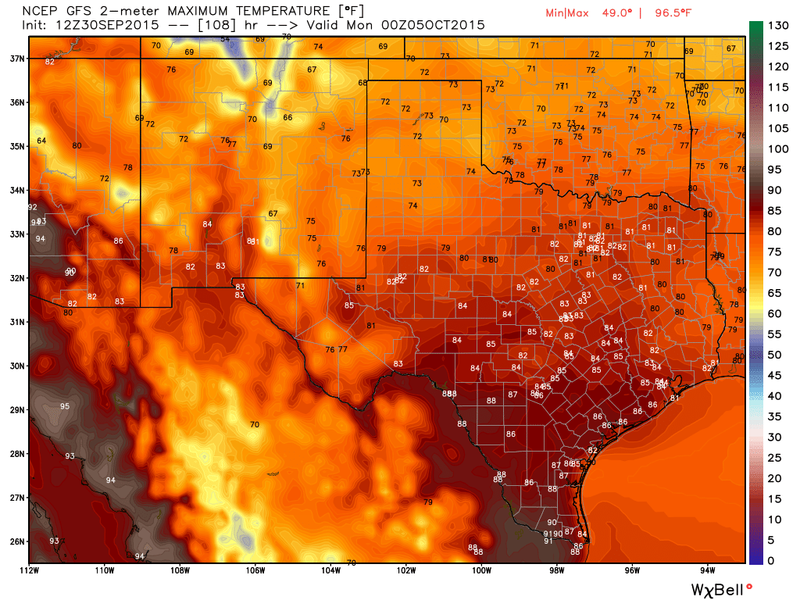 Valid @ 6 PM MDT Saturday, Oct 3, 2015. 12Z/6 AM MDT US GFS High Temp Forecast. 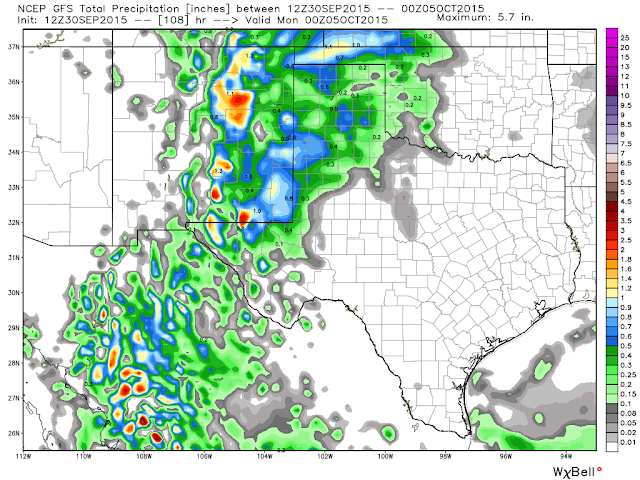 Valid @ 6 PM MDT Sunday, Oct 4, 2015. 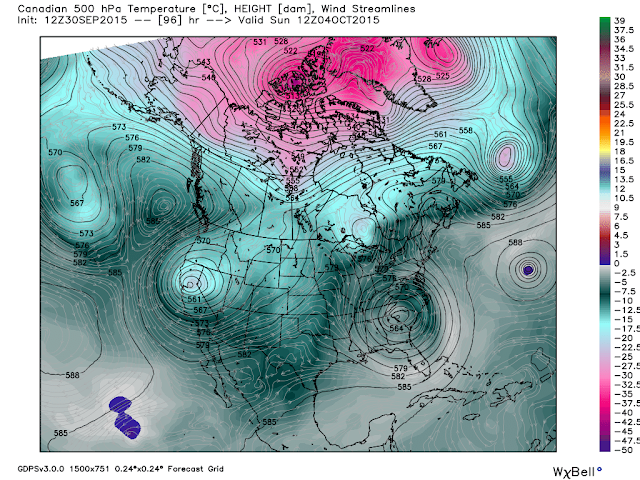 12Z/6 AM MDT US GFS Total Rainfall Forecast. 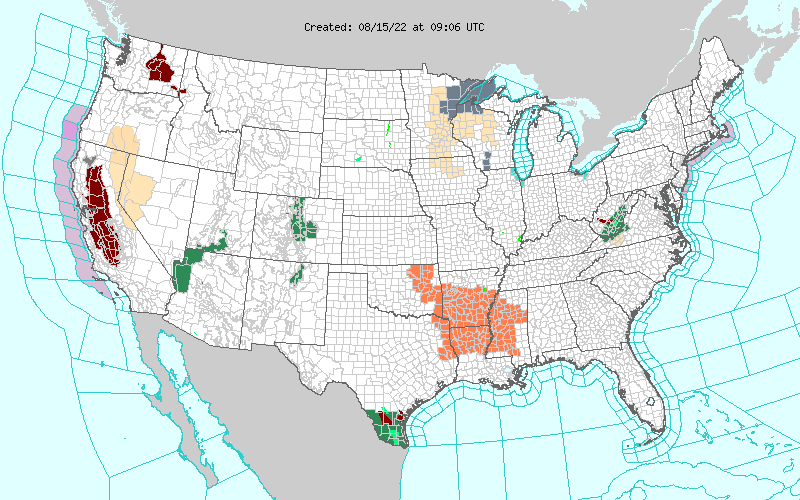 Changes to our states weather will be blowing in the wind late this week and into the first of next week. 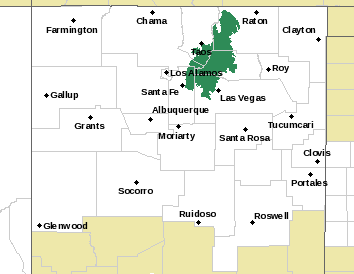 What is difficult at this time is trying to figure out just how much of a change in New Mexico's weather is coming. Generally speaking a trend towards cooler and wetter weather appears to be on the way. 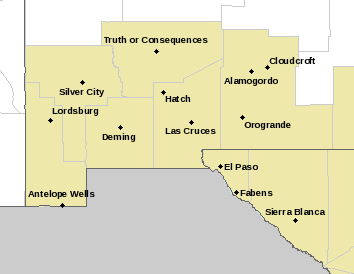 At this time it appears that thunderstorms will return to the eastern one third of New Mexico, east of the central mountain chain, starting Friday and possibly again on Saturday. 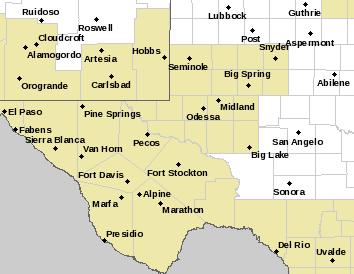 Some of these storms will have the potential to be strong to severe. Depending upon just how far south the strong mid-upper level storm drops this weekend (right now California is the target by the models) will determine when the cold front arrives, and how much rain falls and where. And just how cool for how long we get. 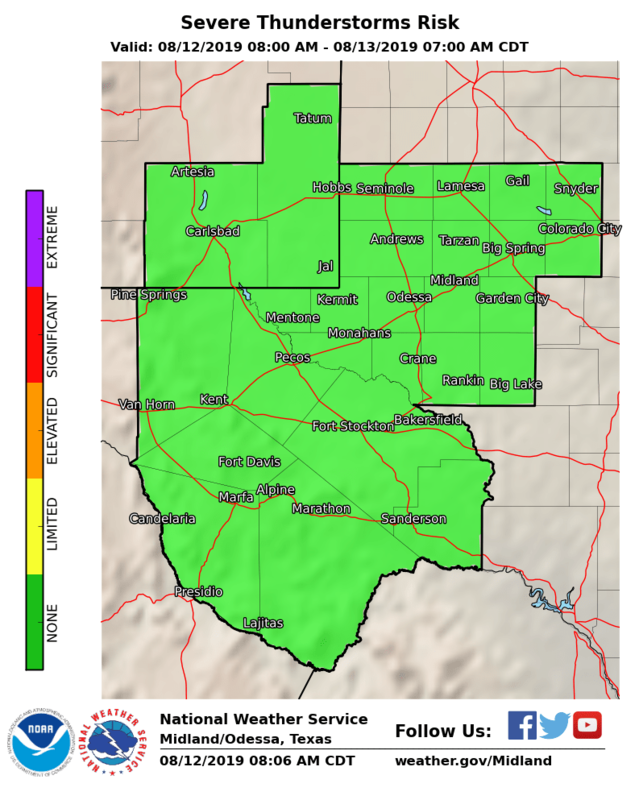 The models are not in very good agreement at this time concerning our weekend weather so we will have to wait another day or two for better details. 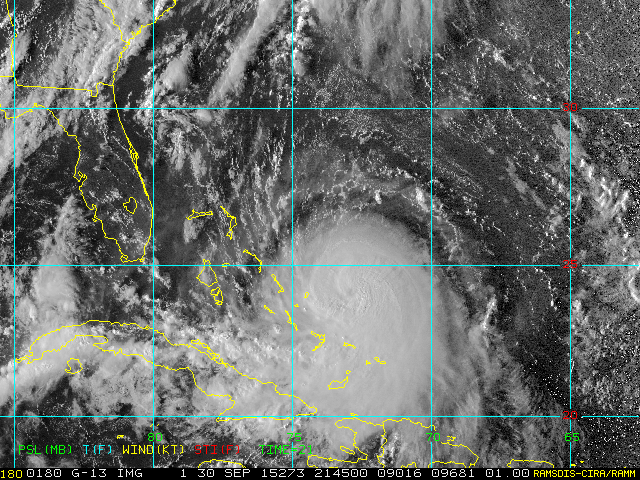 Visible Satellite Image Of Hurricane Joaquin. 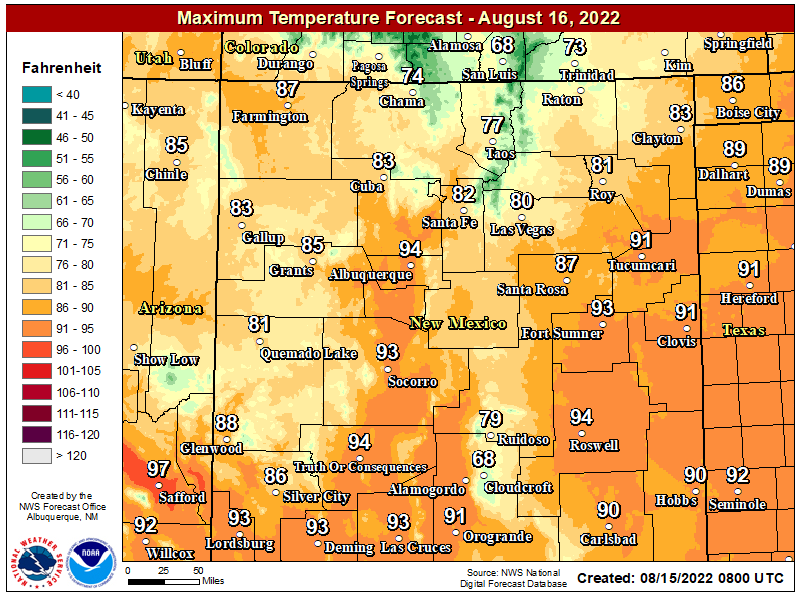 Valid @ 3:45 MDT Wednesday, Sept 30, 2015. Hurricane Models Potential Forecast Tracks Of Hurricane Joaquin. 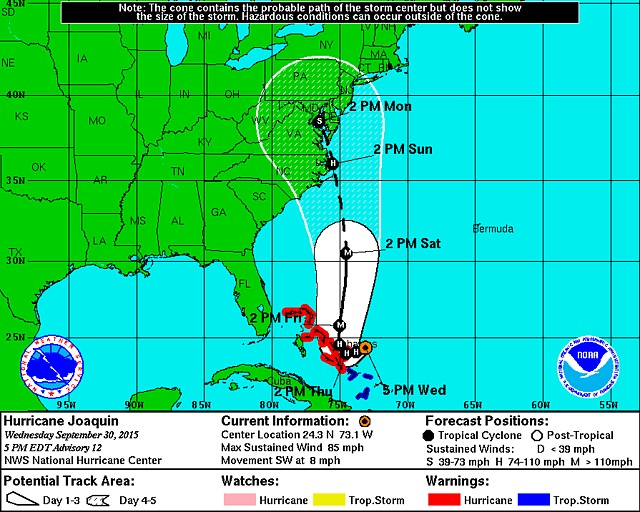 Latest NHC 5-Day Forecast Track Of Hurricane Joaquin. 12Z/6 AM MDT GFS Total Rainfall Forecast. 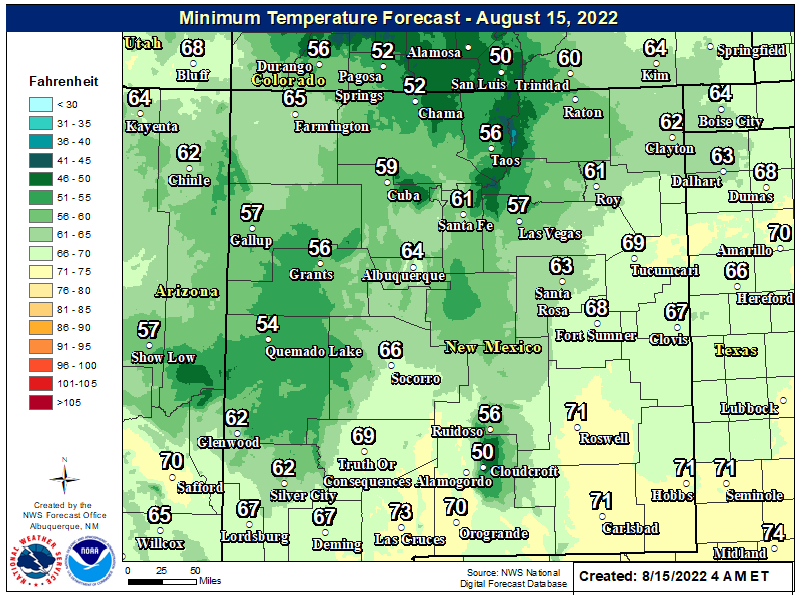 Valid @ 6 AM MDT Monday, Oct 5, 2015. 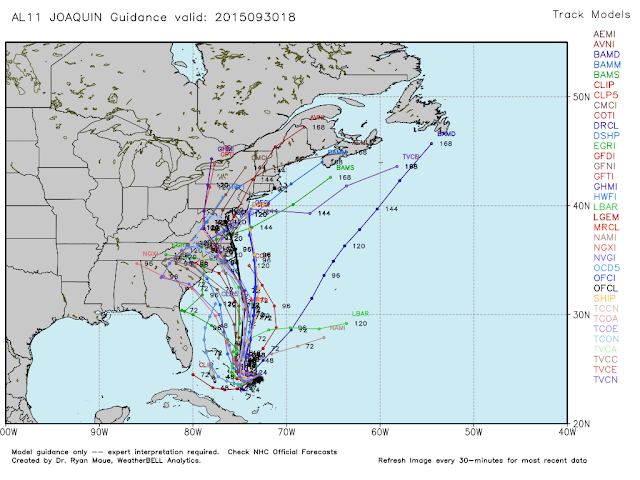 Confusion and uncertainty reigns supreme in the computer forecast model world this afternoon concerning where Hurricane Joaquin is headed and how strong it will become. Take a look at the forecast track map and watch cone above...lots of changes will likely be coming to these over the next few days. 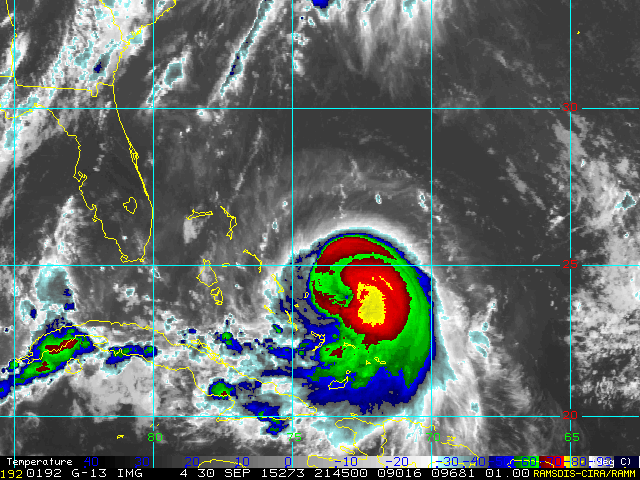 There remains the potential for Joaquin to become a Major Hurricane. 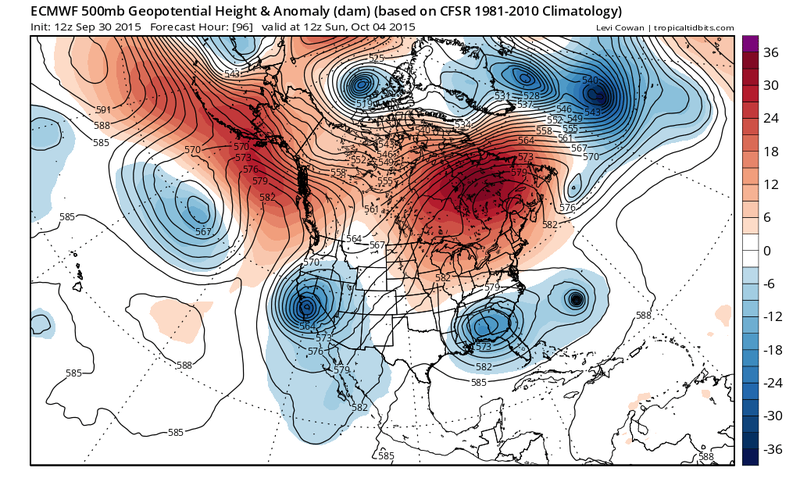 But will it slam head on into the Virginia Delmarva, or stay out to sea and give the eastern seaboard a scare? I simply don't know at this point in time and I don't too many others do either. Without a doubt though there will be a lot of nervous folks watching this outcome this weekend. One of the main concerns will just how much rainfall the affected areas along the east coast will see by sunrise next Monday. 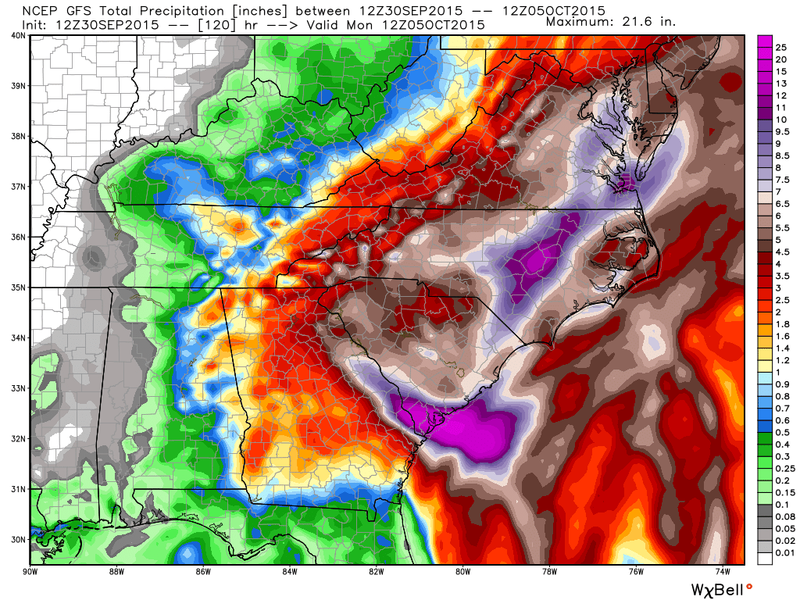 Again this is highly dependent upon what Joaquin does but this mornings GFS model run tries to drown parts of the Carolina's and Virginia with 10 to 20+ inches of rainfall. 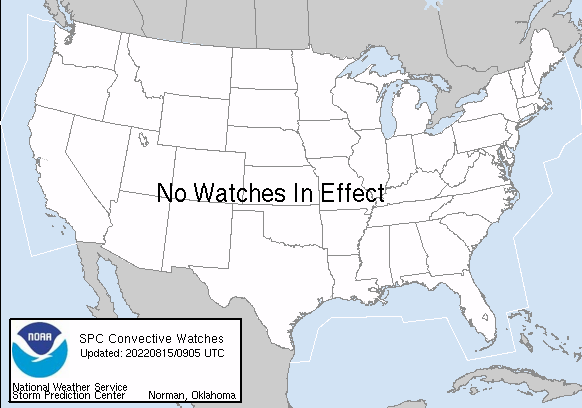 National Weather Service Watch/Warning Map.